The phrase 'Think Global, Act Local' was first used in the context of environmental challenges - in order to improve our impact on the environment, it is more effective for an individual to reduce their own energy consumption than wait for global action. But what about in the context of business? Big companies such as McDonalds and Honda are successful on a global scale, but their products have to be tailored to the requirements of individual countries. Julian Amey, Principal Fellow at Warwick Manufacturing Group, argues that the key is not only to 'think global, act local', but also to 'share and network totally'. It is rather ironic to be writing an article about 'Think Globally, Act Locally' that is going to be published on Warwick’s Knowledge Centre. In many respects sending out a communication on the World Wide Web is the antithesis of thinking globally and acting locally. My very use of the word ‘antithesis’ in the last sentence is another case in point. It’s hardly a word commonly used by most native English speakers; using it in an article intended to reach a global audience could be considered daft. It’s an example of trying to think globally but acting naïvely. How often does that happen in business, or in real life, and what can we do about it? Let’s start again. Most websites receive hits from all over the world. Some of these are intentional, some are just passing traffic. For many internet users, English will be their second (or third) language. But every person who hits on our site is either a customer or a potential customer. The concept of a website to pass on knowledge and share information is great. But the web’s greatest asset, its global reach, can be its greatest weakness. It is hard to tailor it to the individual needs of each customer. How can you make local and specific, something that is global and general? Customers need goods and services that speak to their own individual needs. This is evident from practical data that shows that customers buying goods over the internet tend to shop more from sites in their native language than in English. The phrase 'Think Global, Act Local' was first used in the context of environmental challenges. If you wanted to achieve change and improvement, you couldn’t wait for global legislation or global action. The best course of action was to drive change yourself. You could act to reduce your own environmental impact e.g. by consuming less energy or water. Acting locally starts to address what you see as a global issue. But ‘Think Global, Act Local’ has taken on much wider meaning and use in recent years. Most companies and supply chains need to serve a worldwide customer base. Companies, especially those trying to run lean supply chains, want to keep their operations as simple and standardised as possible - that way they can drive efficiencies and economies of scale. But that misses a key principle of lean: look at value from the customer’s perspective. If you don’t, you run the risk of having no customer, no brand and no market. Customers have local and specific tastes and preferences. The supply chain needs to act locally to understand and meet those needs. Even companies with big brands need to tailor for specific markets. Coca-Cola in Mexico has a different formulation from that sold in the USA. 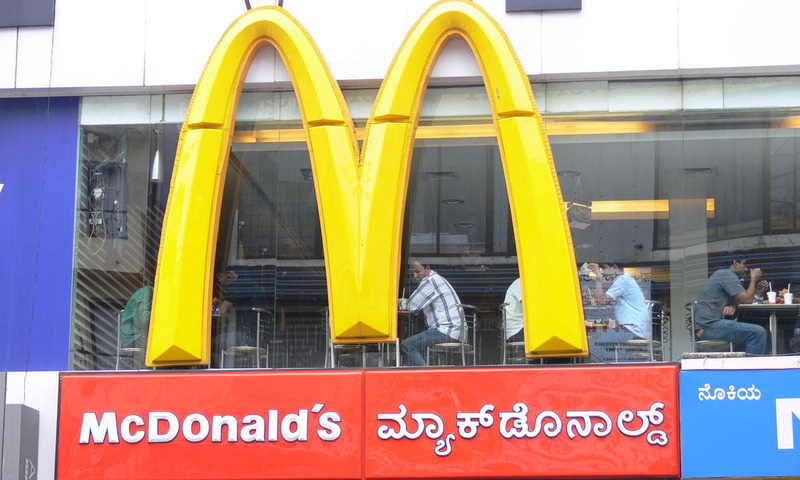 McDonald’s signature dish in India is the Chicken Maharaja Mac rather than the beef based Big Mac popular in most other markets. Car companies gain economies of scale by standardising on car platforms. But the same model can differ between markets. 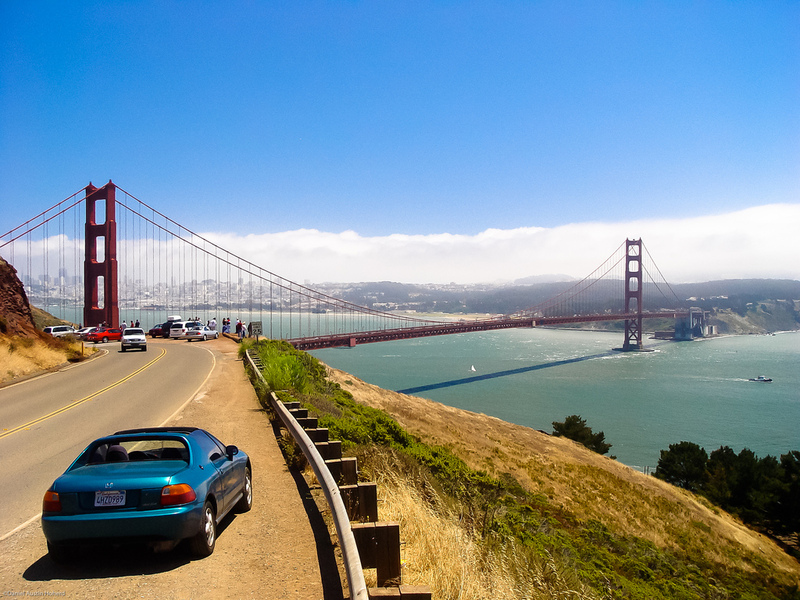 To gain market share in the US, Honda had one of its product champions spend weeks driving around the US in order to find out what real customers wanted, not what the design office thought they should. (A real example of ‘Gemba’ in lean parlance.) Softer suspensions, twin cup holders and other features were some of the consequences, as well as significant increases in market share. Product presentations need to differ between markets. 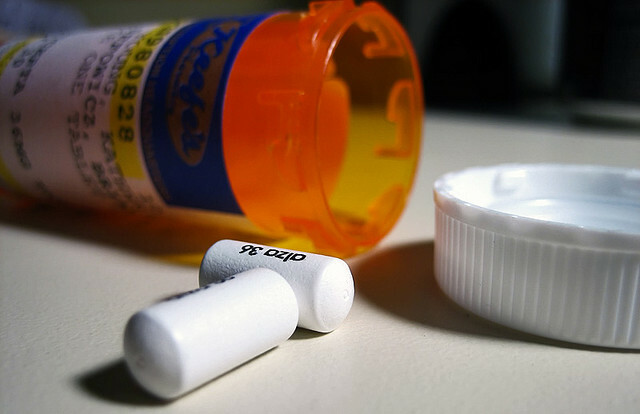 In Europe, most pharmaceutical tablets are sold in blister packs that can be dispensed quickly and securely to patients. In the US, tablets still tend to be sold in large count bottles that pharmacies have to dispense to customers. US pharmacies tend to be located at the back of drugstores or supermarkets: during the time the tablets are being counted and dispensed, the patient will have longer time to spend in the rest of the store shopping. In some less developed economies, blister packs may still be used, but counted in smaller quantities. If not, the pharmacist may simply cut up the blister strip to a size that the patient can afford to purchase. The growth of big corporations, global supply chains and global brands may be seen by some as a backward step. Life is seen to be more bland, the products more standardised. A counter argument is that standards become higher and quality more consistent and reliable when dealing with global brands. But ultimately customer needs and requirements will determine what wins in the market place. The resurgence of micro-breweries is a good example of how local customer demand has pushed back against the dominance of the global beverage companies and their brands. In all cases it is vital to understand customer needs. This information needs to be shared along the supply chain, passing local intelligence back into the global chain so that supply needs can be tailored to meet customer demand. The knowledge input can go into product design or into the real time supply chain according to fashion or seasonal demand. The supply chain has to respond quickly and effectively if it is going to succeed and compete against other supply chains. In the information enabled world this knowledge can be shared rapidly, but human insight remains vital. Direct feedback from people on the ground remains the most valuable source. Supply chains run on information, but more importantly they run on people. People are genuinely the greatest asset because they are the greatest repository of knowledge and insight. The different agents in the supply chain have to collaborate and work together as a joined up network. Rather than fibre optic links and servers, people are the Network that needs to be nurtured in the value chain. People hold the key to the network’s future success. There are direct parallels between the supply chain for goods and the value chain for the transfer of knowledge and learning. A successful value chain will pass learning along the chain to its customers, whilst receiving feedback and insights back up the chain. You are the customers of the Knowledge Centre and key members of our network. We want the site to reach out to you. The body of world knowledge is growing exponentially. Our challenge is living with that growth and pace of change, and ensuring our offerings are current and meet your needs. You’re living with that change in your countries and marketplaces. You are our best source of understanding of the real local requirements of our worldwide customers. You can help us act locally by providing feedback and sharing your knowledge with us about current trends and your future needs. You can enable us to tailor our offerings to meet differing local needs, so that we don’t have a ‘one-size-fits-all’ approach, as well as help us to identify global issues. Sharing knowledge and networking will be the foundations of future success for us all. “Think Globally, Act Locally, but share and network totally” has to become a future mantra both for the supply chain and for any customer focused knowledge sharing. Julian joined WMG on a part-time basis in 2010 as Principal Fellow focusing on Supply Chain Management. He is currently Director for WMG's Professional and Executive Programmes with responsibility for business development. Julian’s background is in the process industries. He joined ICI as a Control Engineer after studying General Engineering at university followed by postgraduate Production Management. After roles in project engineering, maintenance engineering and production management, he was seconded to ICI Pharmaceuticals US in the late 1980s with responsibility for production planning. From mid-1994 Julian coordinated a supply chain re-engineering programme for Zeneca Pharmaceuticals until in 1998 he headed up Zeneca’s Supply Chain Group. At the merger with Astra in 1999, Julian was appointed Vice President of Supply Chains And Logistics. From 2002-2004 he led work to establish the AstraZeneca Supply System, defining and implementing lean approaches to the way AstraZeneca conducts its supply chain activities. During 2005 and 2006 Julian was seconded to Global Development within AstraZeneca’s R&D organisation to lead and support change activities. He returned to Operations to develop an ERP strategy for the company and to lead the Transformation & Strategy Group and the restructuring of AstraZeneca’s asset base. From 2008 he took on the leadership of the Global Supply Chain. He retired from AstraZeneca at the end of 2009. Images: McDonalds Bangalore by Flying Cloud (via Flickr). Del Bridge by Daniel Hoherd (via Flickr). Untitled by Brian Josefowicz (via Flickr).